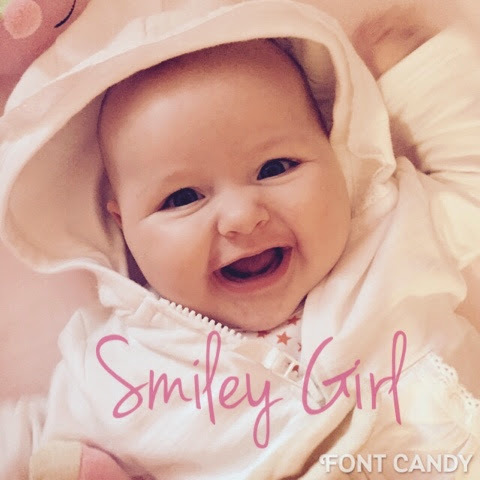 This weeks Babyy smile is as cheeky as ever! She was smiling because she'd just woke up from her nap and I'd come in to get her out of the cot, it was time for lunch!! She always wakes up with a smile. She's the happiest baby in the world after a nap, I suppose all mums would say that though haha. I should count my lucky stars that Penny isn't to bad taking her naps. It makes me ooze with pride every time she gives me the 'yay mummy, I'm awake woooo' look. I feel so lucky to have her.